Parolee Michael Sheppard, 31, pleaded guilty to second-degree aggravated sexual abuse for attacking the 20-year-old student at Eastman. UR senior Chris Hodgman was cited by Brighton police for violating town code and not for the fliers’ content, according to police. 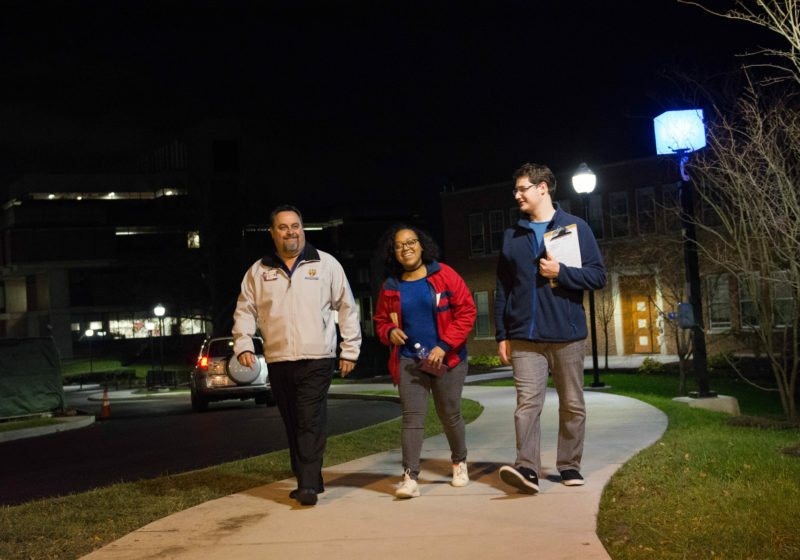 Students, Public Safety officers, and University staff members teamed up Tuesday evening to survey locations on and off campus in need of better lighting as a part of the annual Walk for Light event. Horsky resigned his title Monday after the Department of Justice announced last Friday that he had paid a $100-million penalty and pleaded guilty to conspiracy for avoiding taxes through Swiss bank accounts. 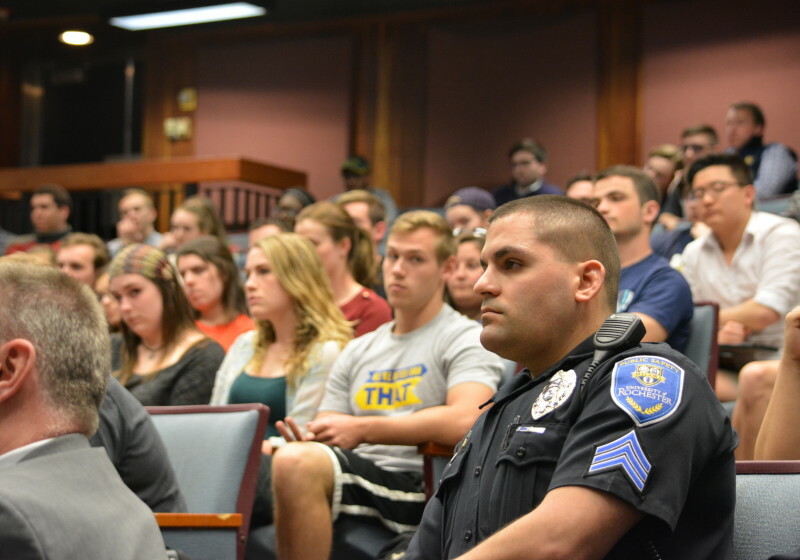 Students, faculty, and staff sparred over evidence for and against arming Public Safety officers at the Medical Center. 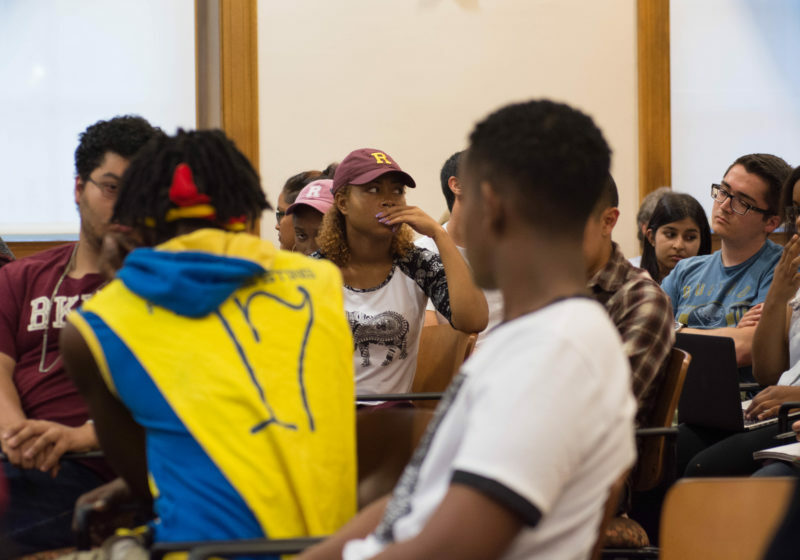 University President Joel Seligman stressed in a Thursday email to all students, faculty, and staff that no decision would be made without community input. 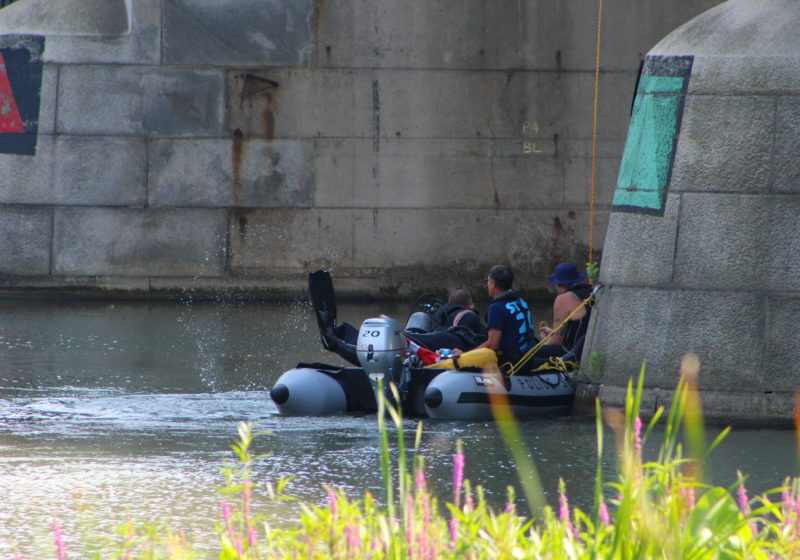 Police did not confirm whether anyone or anything had been found. A University commission has made a preliminary recommendation to arm a handful of Public Safety officers at the Medical Center, though it will neither be considered nor publicized by UR until the fall semester. Should Public Safety have guns? For many vocal students, the answer is no.